While our schools are in dire need and our kids can only go to school three days a week in May because there is no money to pay teachers, the city of Paso Robles continues to be oblivious to their needs. Teachers have been paying for school supplies out of their own pockets for years for our kids. We have eliminated school recreational programs and closed our swimming pool. Our kids need an education. We need teachers to be at work teaching them. They are the future of Paso Robles. City officials turn a blind eye on our schools and their education. They would rather spend money and studies on the beautification of Paso Robles. They want to make our city another Napa Valley. They do not care about our kids, our citizens and our residents. There is a sharp contrast as to what the city is doing and what the schools are being forced to do. The money spent to make this city beautiful for tourists should have been given to our schools instead. We should have helped them, not ignore them. I have spent the last couple of weeks doing my own audit on where my tax dollars are going. The more I find out, the more agitated I get. Our tax dollars are going directly into the city of Paso Robles to pay for the ultra-fine salaries and benefits of its employees. I am not talking about our Police, Fire, or Emergency Services. I am talking about city employees and the Paso Robles City Employees Association only. The city has job descriptions that have a minimum and a maximum salary. I looked at the information on the State Controller’s Office that Paso Robles submitted on salaries paid. Based on what happened in the city of Bell, all California cities had to submit salaries paid to city employees in 2010. In addition, I used the data on Resolution 11-119 (Adopted September 2011) to gather my information. I will address the salaries and issues at the end of this letter. City employees retire at age 55. They received 100 percent health, dental and vision 100 percent for the employee, but now resolution 11-119 changed a few benefits. Medical — employees with one dependent the city pays $805.53 and employee will pay $114.41. Family Plan, city will pay $1141.30 and the employee will pay $168.58. Dental — The city pays 100 percent for employee. Family Plan City pays 93.63 and employees pay $6.92. Vision –The city pays $14.96 Employees pay 0. Resolution 11-119 now says for the term of this agreement, for both health and dental and vision insurance, the city will modify its maximum contribution by an amount equal to 100 percent of the employee only premium, and three quarters of premium increases for employee and dependents. Employees shall be responsible for the one quarter of any increases. Employees with a hire date of Jan. 1, 2012 with at least 20 years of service will receive the $500.00 monthly payment only to the age of 65. City employees receive 11 days of holiday pay per year and one extra day for their birthday just because it is “Their special day” making the total paid days 12 per year. In addition during the term of this agreement only, employees shall be granted one additional floating holiday but the extra day off must be taken by June 30, 2012. Deferred Compensation- All unit employees shall be eligible to participate. The city will match contributions to a maximum of $20.00 per pay period. Stolen Property- If you use your own personal property at work and it gets stolen from city premises, no worries just fill out a form and the city will reimburse you for the stolen property. Child Care- the city shall maintain in effect the existing discount child care program for the term of this agreement. Bilingual Pay- The city pays $100 per month to qualified employees who provide bilingual services. Salaries – Effective July 1, 2012 all deferred salaries/benefits increases by city employees since September 2008 will be paid. Effective July 1, our city manager will receive a salary of $179,541. Here is a cost comparison from the city of San Jose California with a population of 958,789 versus the city of Paso Robles with a population of 30,000. As I stated above, I did an audit on the salaries submitted by the City of Paso Robles. I now question the validity of the information sent to the State Controller’s Office. Here is why. 1. Paso Robles reported salaries and benefits for five council members and one mayor. 2. Many of the positions are for professional managers I,II,III. When I question a salary on the data of professional manager lll, I was told I had it wrong. I should have looked at professional safety managers lll. There was no safety managers at all in the data sent to the state controllers office. 3. There are approximately 40 positions listed as recreation staff assistants l,ll, lll, or IV. These people didn’t make much money under salaries so I asked human resources who they were and were they really city employees. I also wanted to verify if we paid benefits to them. The employees are part time city employees who work less than 20 hours per week, and yes they do get benefits which are based on hours worked. There were no benefits listed for these people on the data that went to the state controller’s office. Note to city, does the word temporary employee mean anything to you? You would not have to carry these employees on the books nor would you have to pay them any benefits if they were temporary. Why do we have almost 40 people working part time in the recreation department. When we cut all the recreation programs and closed the pool? Every job has a classification associated with it. The maximum is the most you can be paid for this job. Professional manager II in recreation minimum $70,944, maximum $90,118, actual salary paid $98,233. Maintenance supervisor- minimum $50,544, maximum $64,212, actual salary paid $106,173. When I asked about this I was told it could be overtime and benefits. Again, these salaries are from 2010. With the four-year deferred salary adjustments effective July 1, these salary ranges will go up. We, the taxpayers will continue to pay an alarming rate of increases every year for the same job being done. There has to be a ceiling on the amount of money we should be paying for these jobs. When you hit that ceiling, that is as far as you can go. Raising the maximums each year is not the answer. 1. The article-related discussion of the Tribune’s “Paso Robles to consider contract with firm to recruit new police chief” (Paso Robles to consider contract with firm to recruit new police chiefhas been closed. There were a lot of discussion posts, too. 2. I see that the PR City Council, in this week’s City Council Meeting, is going to discuss contracting with the employee-search firm (http://tinyurl.com/7wp6wu2). The search has a budget impact of about $20,000 ($15,000 for the search, and up to $5,000 for costs. This money is to come out of the general fund. Special events meaning only Main Street Assoc. events. So the fountain should be fixed and used only for those events sponsored by the Main Street Assoc.? What happens when the MSA decides the park itself should only be used for their events? They already do on occasion, they even put up a fence around it locking out the general public for wine related events. Only the beautiful people with a $75.00 entry fee are allowed to use the “public” park on those days. Yes, they do. Are we okay with this? We need to make that park “public” again. A decade ago, the downtown park was more family-friendly. The vintage slide, merry-go-round and newish play structures were a hit with the locals and tourists. Then–“fearing lawsuits”–App had the merry-go-round ripped out and ditched the slide. (Can anyone please tell me of a kid who ever got injured there??) And slowly but surely, the park morphed into a tourist centerpiece. I’m glad to have a thriving downtown business area but the mayor, councilmen & city staff have focused too much on how to generate tourist bucks and they’ve forgotten the rest of us who live here year-round…the rest of us who VOTE for them–or not. My point exactly, the wine festival is an EVENT and should be held at the grand and newly renovated Paso Robles Event Center. The public park is for the residents and public in general. It should never be fenced in, thereby fencing us out. Who voted for that? Danika, that is a GREAT point to take to the voters. PR’s taxpayers pay for the park, its upkeep, liability insurance, and other costs, as well as the city government necessary to administer the park. HeII, the ex-police chief, Lisa Solomon, used to use PRPD resources to pimp the wineries at festivals. Yet the people of Paso Robles are locked out of the park anytime downtown business snaps its fingers. It would be interesting to see what the true costs are for that park and its maintenance, etc., and then figure out the amount of taxpayer money that pays for exclusive use by downtown businesses, wineries, etc. Perhaps those who get exclusive use of the park should be sent bills for their exclusive use of the park. It just does not seem fair to the taxpayer, the way it is set up now. Just goes to show, in App’s world – tourism events are what counts. I agree, all large events should be held somewhere else – not in downtown city park. The park is for citizens – not to fenced off for one festival or the other. And by the way, who pays for city employees (police, maintence, etc.) to be at these events – is it the same as how they get paid for the fireworks at BS park? ie. the event must pay for them or does city chip in? 1. Does this mean that App and CC have decided NOT to promote from within the current police ranks? If not, why do you need to have a search firm do the vetting of one of your own officers? 2. Was Avery and associates the search firm used to help Paso hire Ms. Solomon? If yes, then this does not give anyone a warm, fuzzy feeling about whom else they would qualify. If not, why were they not used – they have been doing work with the City for the past 20 years. absolutely mandatory – after the debacle of Ms Solomon’s promotion to a job she was unqualified for. hired until after the Nov. election. During all this discussion we have been having about the condition our city is in and the incompetent management of it, I have heard many citizens disqualify themselves from being one of our elected representatives because of their lack of experience. If running our city into the ground like previous and current qualified council members have done, and turning a blind eye to the city manager city staffs behavior is qualified representation. I will most certainly be looking for the most un-qualified representatives who will step up and offer to help fix our city. The most powerful people in any city should be its citizens. The most pwerful people in any city should be its citizens………….. The most under represented people in our city are the citizens. We are trying to change this. People need to be respected, heard and represented. I just want to say this: Unless you’ve worked for a local area government, especially a small city or a CSD, you cannot possibly imagine what hell it can be. They pay that much and provide those benefits because they could not get people to stay otherwise. Employee changeover, especially if it happens a lot and for key positions, can bring a city, CSD or organization to its knees because there is no consistency and historical knowledge to keep the organization running smoothly. That’s a fact MM. Lets not forget most municipalities require its public works and emergency services services staff to live within a 30 minute response time so they can respond to call outs. Add in those rent and home prices which are a joke in this county, and unless your making a 6 digit income forget about being able to afford to live here. Eventually all the purple hairs and tourists will have to wipe their own butts after the workin man can no longer afford to pay for the disillusion quality life here. I don’t think the “worker bees” ( cops/firefighters/public works employees) are necessarily overpaid but I’m confident the city management team IS. For instance, check out the city’s website and see how much the Parks & Rec mgr Julie Dahlen makes. Absurd. And of course, Jim App and the other managers make far too much also. App is schedule for a raise 9-1-12 after receiving his back pay raises on 7-1-12. My letter was never intnded to be for Police, Fire, Emergency Workers, or Public Works. I think they do an amazing job and they are key and critical to the City. A lot of jobs are hell, not just government jobs. And I dispute the claim that government are hell. Point: GSA. Paso needs to offer salaries it can afford and are fair to the residents. Applicants can take the job or not. Cities in CA are laying off workers by the hundreds…even thousands. If a current Paso employee wants to leave..so be it.. 50 people will apply to replace him/her. Have you ever worked for a local area government? I’ve owned my own business, ran other people’s businesses, worked for a corporation and worked for a local area government. The $hit the local area governments get a way with–such as what Solomon got away with for years, and what App is still getting away with–is not the norm in other jobs. That’s because non-government employers have to actually worry about liability for the actions of their management and employees, because they don’t have the ability to just slap a new tax or assessment on the people who are their customers every time management sexually harasses an employee, an employee acts illegally, etc. Sally, an excellent letter! You make us all proud. While I wholeheartedly support cprn2012, this op ed was a bit confusing. The 2nd paragraph states , “City officials turn a blind eye on our schools and their education…” Huh? This sounds like we’re blaming Paso’s city government for the school district’s budget mess. Apples and oranges, right? I mean, I’d love to see Jim App gone but I can’t blame the guy for PRJUSD’s financial problems (They have their own mismanagement crisis). 1) Paso city employees are overpaid and we can’t afford it. 2) Jim App has been an ineffective city manager and needs to be replaced. 3) We want our quarter of a million bucks back from Lisa Solomon Chitty. The taxpayers of Paso didn’t tarnish her reputation, SHE did. 4) Our roads are full of potholes, and desperately need to be re-painted. 5) Centennial Pool needs to re-open this summer. 6) Paso’s crime is UP and the number of cops on the street is down. This must change. 7) App & the council are FOOLS if they spend $15K in consultant’s fees to hire a new police chief. 6) City Council: stop focusing solely on the tourists and their $$$ and start listening to the locals. 7) Just to reiterate: FIRE Jim App! “The average resident may tune out all the numbers”. Where this might be true, an audit is crucial to making Change in Paso Robles and numbers are where the evidence is. We can say salaries are being inflated at the tax payers expense, but we would need evidence of this. We now have it and provide it to the people of Paso for their own review. CPRN2012 is auditing many areas of the city budget and are asking hard questions. Our findings are astounding and need to be shared with those who foot the bills. We will be sharing these findings with the public as we go along. I agree with sharing the information, even complex information. With the financials, not all of the issues are going to strike everyone in the same way. For instance, a person with a background in groundskeeping for a city might look at the salary figures for those jobs, find them outrageous, and communicate it to their pals who work the same type of job. Not everybody needs to read an autopsy report to feel comfortable that the opinion of the investigator and coroner aren’t skewed a bit to protect a local government agency. So, provide all the details on anything you find. As long as you are also providing prompts with just the big-picture approach, everybody will be served…and you may get helpful information from a reader who knows the intricacies of a trade. To clarify, danika & Mary, I also think a detailed audit w/complex info is absolutely a must. I’m just saying that if you polled 100 Paso residents, I bet only 10 could even name our mayor. Fewer know who the councilmen are. And still many others don’t have a clue about what just happened with Lisagate. Again, I support cprn and am thankful that this grassroots effort is coming about. It’s just that if you stand up at a council mtg and list a bunch of stats, it won’t be effective, especially since Picanco will just nod, ask the staff to “get back to you” and then move on to the next speaker. For some reason, Mr. Picanco feels he is above answering questions asked of him by voters. An interesting decision when you consider he is up for re-election. PP5, your advice is sound; the Mayor usually defers the question to the staff…and he absolves himself of responsibility to address concerns by doing so. Remind me again, WHY is he Mayor? Pretty pathetic voter turnout, don’t ya think? One key to real change in Paso is spreading the word to our friends and neighbors about what’s *really* happening in Darn Near Paradise. If residents don’t vote, Picanco & the others will stay in power and that won’t help Paso one bit. Perhaps if someone would publish city council meeting “summaries”–focusing on hot-button issues, giving background on each issue discussed–it would serve as a way to inform the PR voters and prepare them for voting in November. I believe the people want to know what is going on in their city, but don’t have the time and/or resources to attend the city council meetings. They also might fear they are so out of touch on the big issues, it would take an overwhelming amount of time and energy to get up to speed. In the interest of fairness, the Mayor had Caryn Jackson issue a letter this afternoon, responding to my questions. Thank you, Ms. Jackson. No Paso Parent, I do not hold Paso Robles City rsponsible for the school districts problems. I was just showing two enities both in peril because of budget problems and both handling it differntly. Paso Robles gives days off for birthdays and extra floating holidays in troubled times, and the school district puts the teachers out on Mondays and Fridays. These City benefits should have been eliminated in 2008 when the ressions hit. We can’t afford them. Cty, the taxpayers gave you money. If you choose to spend in in salaries and benefits that are out of control, then you have no right to cry poor. Good job Sally! We recently had to deal with a City office. The regular guy was out, and the lady filling in for him had taken the day off because it was her birthday. This meant nothing could be done in that office that dsy because the only two qualified people were out. Good God, a city paying adults to take the day off to celebrate their birthday? Our next project will not be in Paso city limits- for sure! Grow up you pampered city employees, you’re not twelve years old, are you? Do your job for the people that pay your salaries. 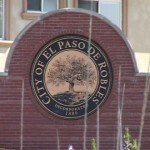 In 2003 according to the Yr End number for Paso City we paid 8 Million for salaries and benefits to city employees..
Today, in 2012 we pay 16 million for salaries and benefits to city employess. We keep hearing how cuts have been made in the city but I do not see it. THIS is a great stat to share at a council mtg, via. Clear and simple. We don’t have money for 4th of July fireworks display, police/Santa neighborhood ride, Centennial pool or decent streets…but we can pay double to city workers. Appalling! For many people, the Santa sleigh ride deal is way down the list of priorities, and the safety of the community is way near the top of the list of priorities. Sally is a co-founder of CPRN2012. I believe that why will be seeking candidates to run for office. Maybe you, Scoopone, can step up to the plate also. We need 3 candidates to replace the incumbents. LG, it is important to note CPRN2012 will NOT be supporting any candidates, but we all encourage those who feel the call to make change in Paso to become candidates. If you are correct in your audit Sally then do something about it, like running for City Council. Nothing is going to change unless new faces get in the race. The old boy network is healthy and strong in Paso so some good folks who want to make a difference will have to step up to the plate!! Yes, we need honest people to run for city seats that will look after the rights and wallets of the taxpayers and citizens of Paso Robles. I am not and will not be running for any of the offices in November. I am not qualified. I am just mad at what has happend to our city. I am mad that every one of us 30,000 people in Paso Robles are paying $557.00 of our Tax dollar to support these ultra fine salaries and benefits. It makes no sence.I now see why we do not have any money for street repair. I think the fact that the city council and city manager want to pay $20,000 to a search firm they’ve used since 1981 (a.k.a., “crony”) also points to a problem with PR. Yeah, that’s the ticket. Have the same city council and city manager, using a crony for a search firm, to select the next PR Chief of Police. Boy, that should change things–NOT. PR will end up with the same disaster it received when the CC and CM approved Lisa Solomon as Chief of Police. Clearly, their priorities are not the same as the priorities of the people of the City of Paso Robles. Why not consider allowing the Sheriff’s Department to take over the responsibilities of the PR Police Department, thereby eliminating Jim App and the City Council from the responsibility of hiring a new police chief. I’m sure the Sheriff’s Department would be eager to help. None of the directors of CPRN2012 can or will make a run at the upcoming election. That current “good old boy network” needs to be introduced to change. And change IS coming to Paso! It is cronyism and incompetence (which often go hand in hand) which is crippling Paso Robles. If we can decrease the impact of cronyism, the incompetence has a better chance at starting to resolve, as well. There will be a conflict of interest if Sally runs for office, and it will give fodder to the opposition to criticize the organization (i.e., “you only formed CPRN2012 because you wanted to run for office”). Besides, to do the amount of work it took to put together the financial information for this post…if this is an indication of the type of work Sally is currently doing for CPRN2012, she couldn’t possibly have the time to also run for office. As Sun Tzu said, “It takes many types of warrior to win a war.” We need the executive-type, the ambassador-type, the spy-type, the Amazon-type, etc. We all have unique skills, which is what will make the organization strong. Love it, Mary. Well said! Sally is an excellent auditor and, though I personally think she would be a fair and just councilwoman, she is not running for office. She is a dynamo and we are damned happy to have her! Mary Malone Thank You. We are going to do just that at CPRN2012.